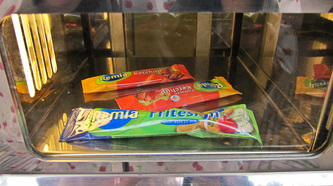 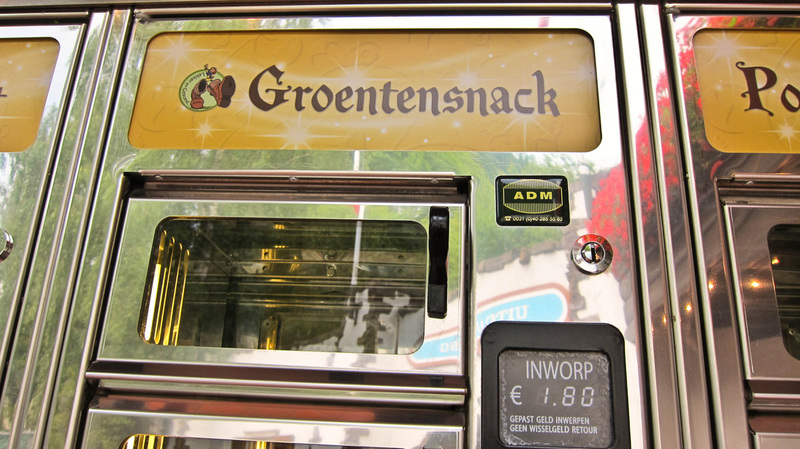 Food dispensers are found throughout the Efteling they are an easy way to get a quick warm bite to eat. 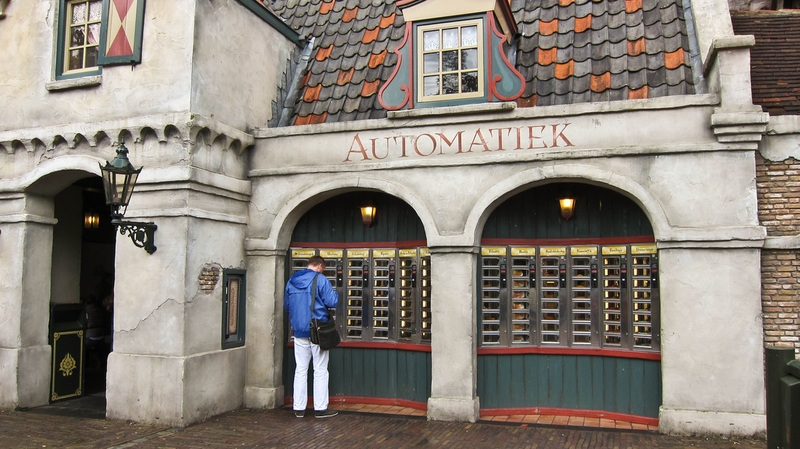 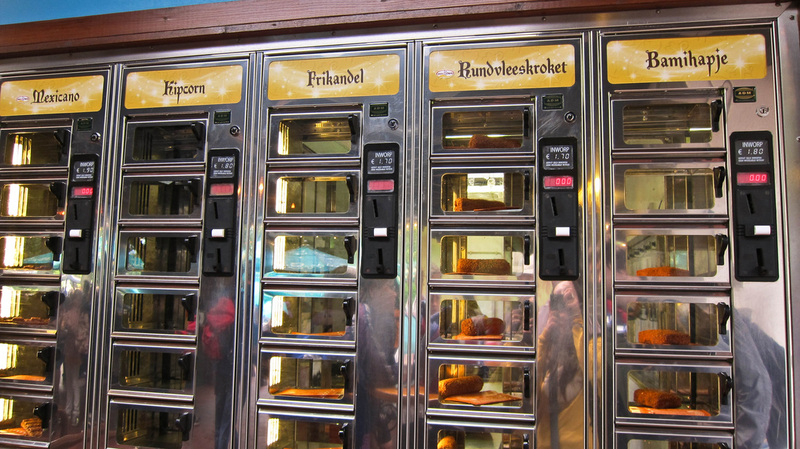 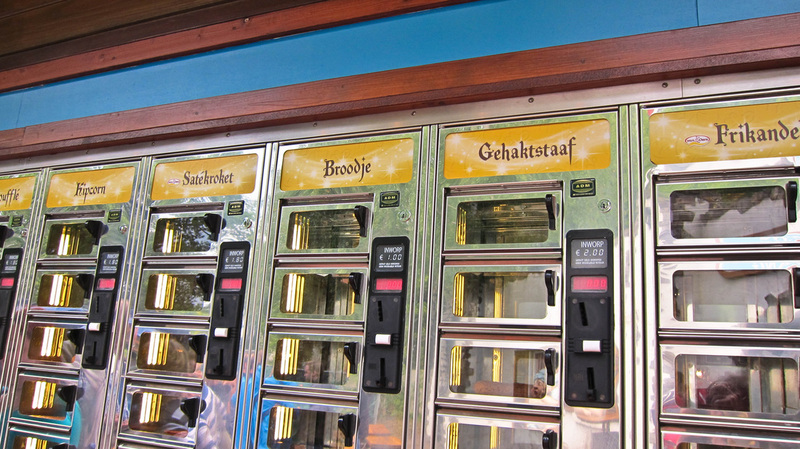 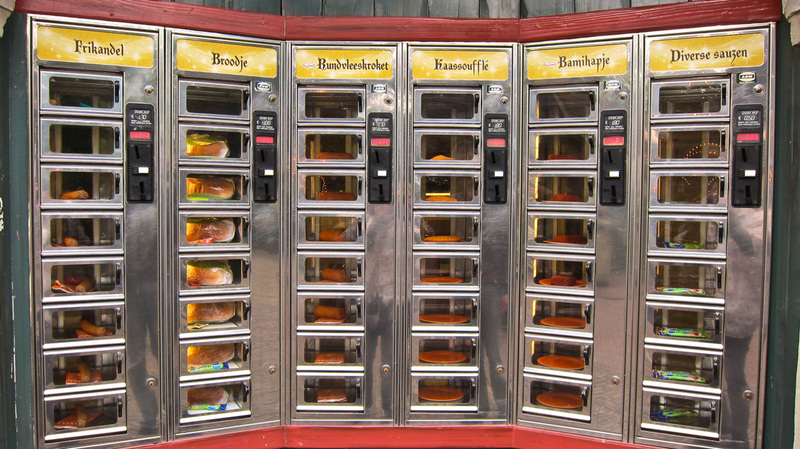 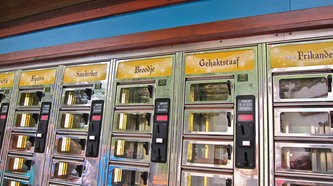 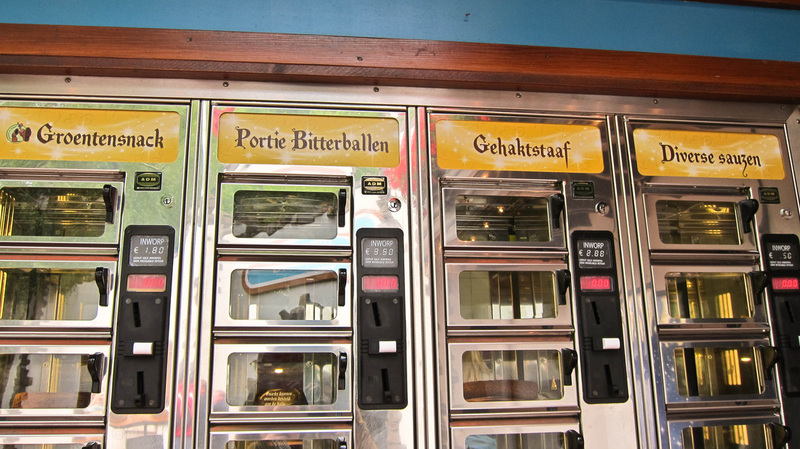 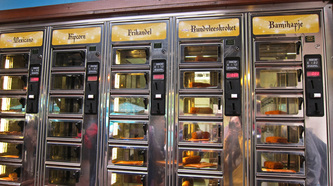 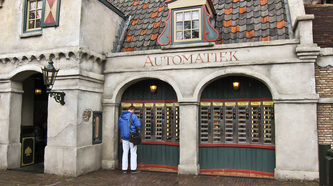 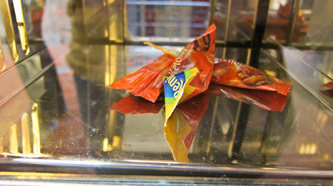 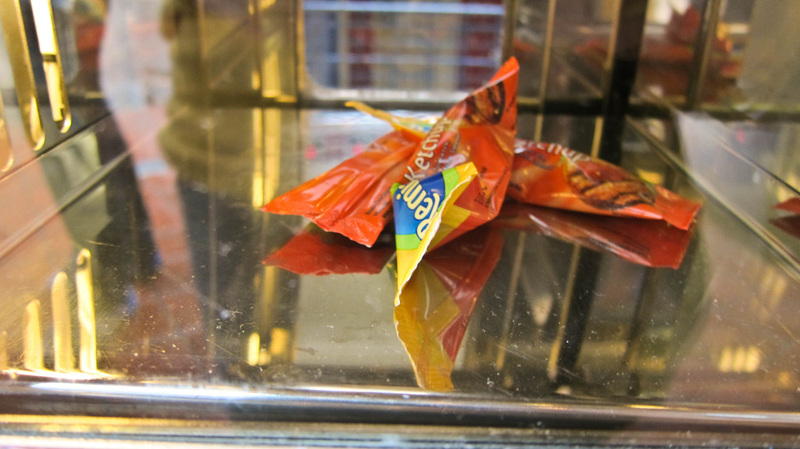 An automatiek (sometimes referred to as food from the wall) is a fast food dispenser where simple foods and drink are served by coin-operated and bill-operated vending machines. A bamihap is a fried portion of bami goreng (fried noodles) that has been bread-crumb crusted. 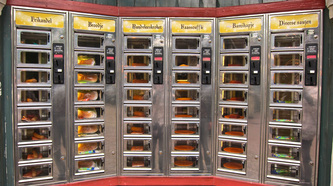 Usually the bamihap is produced in a round ball or disc shape. 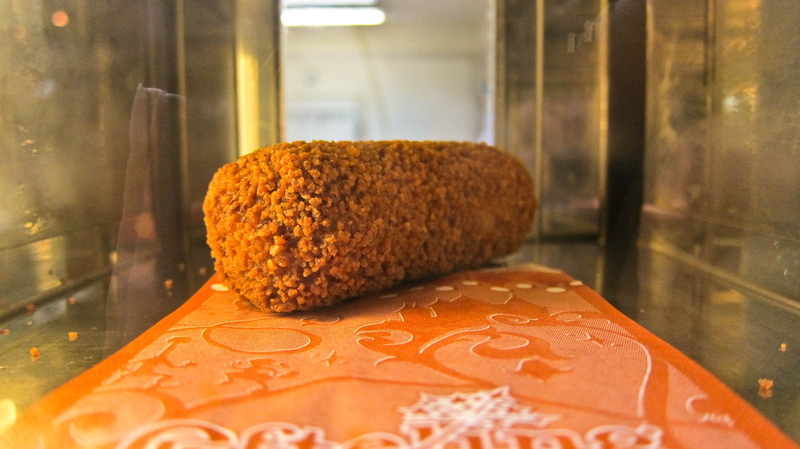 The mexicano consists of a spicy spiced mix of minced horsemeat, pork, beef and chicken. 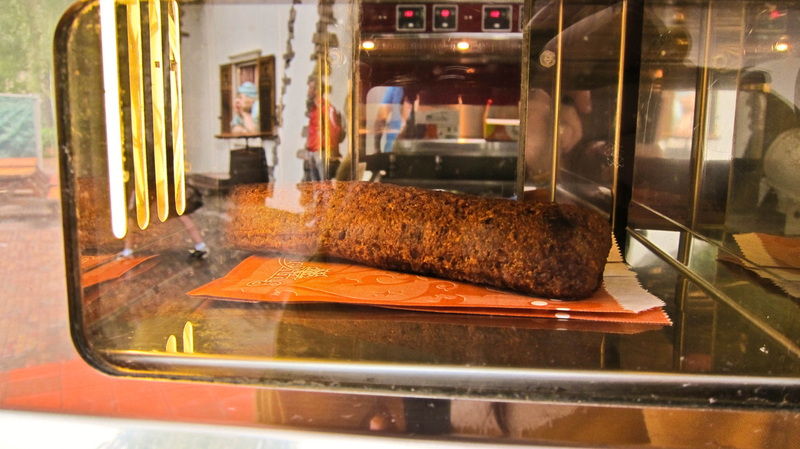 This is pressed into a special shape. 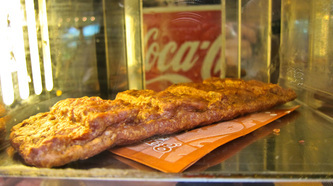 There are sometimes versions available that do not contain pork. 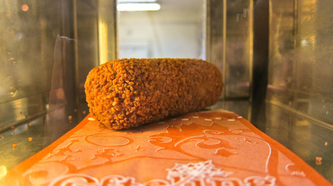 The meatcroquette is made of a thick kind of meat ragout. 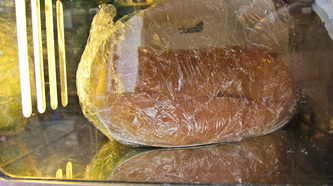 A stock that has been bound by a roux and then mixed with small pieces of meat, fish or vegetables. A frikandel is a long darkcoloured stick of different types of meat that is fried. 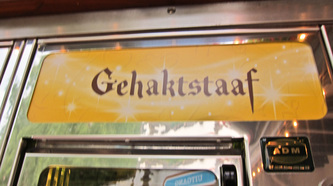 In a frikadel you will usually find 40% chicken 25% pork and occasionally 5% horse. 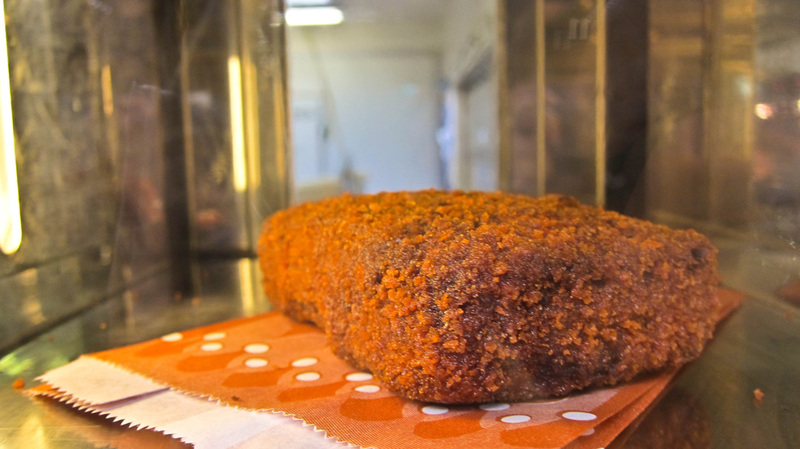 The rest is water, bread-crumb crust,herbs onions and flavour enhancers. 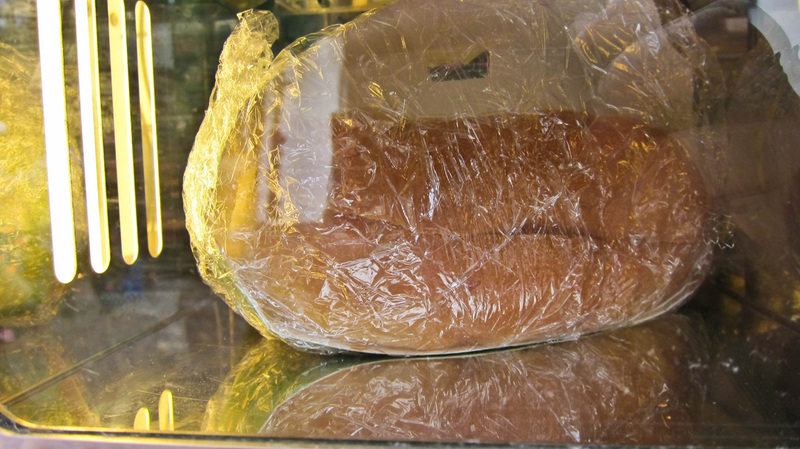 Breadbun for if you would like some bread with your other snacks. 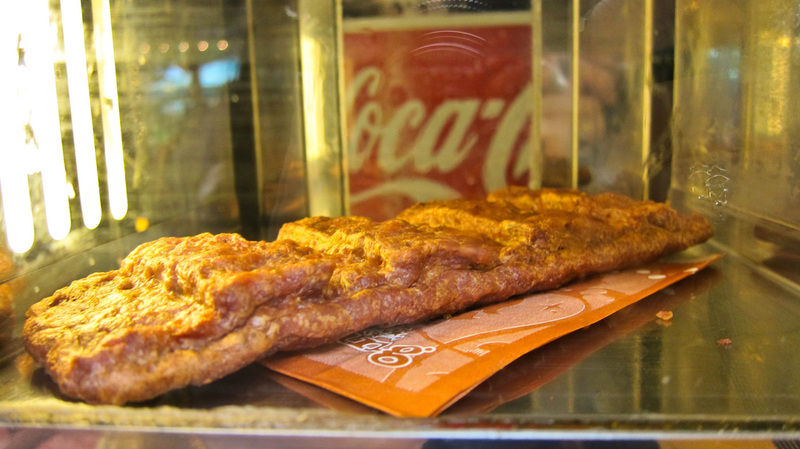 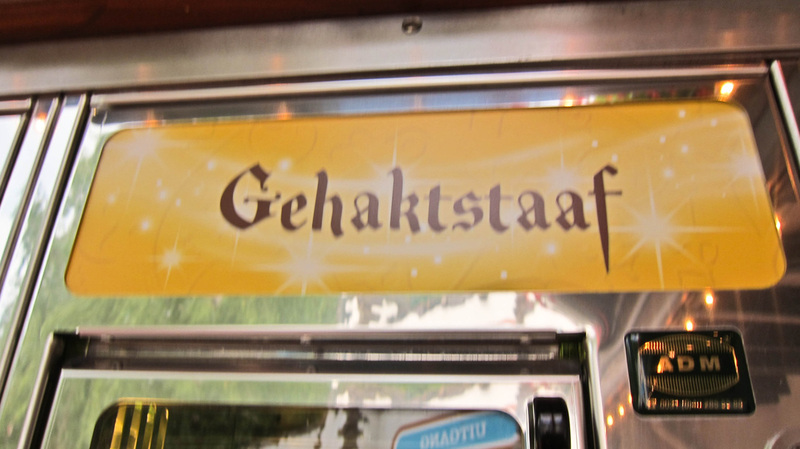 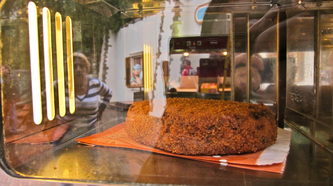 A gehakt staaf is a fried stick of minced meat, made of chicken, pork and horse. 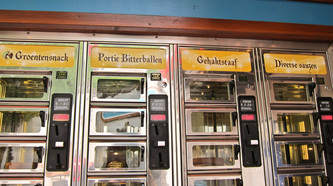 Different vegetables are also added such as onion, leek and paprika. The kaaskroket is a mixture of flour, butter, milk, cheese, spices or liquor such as kirsch. 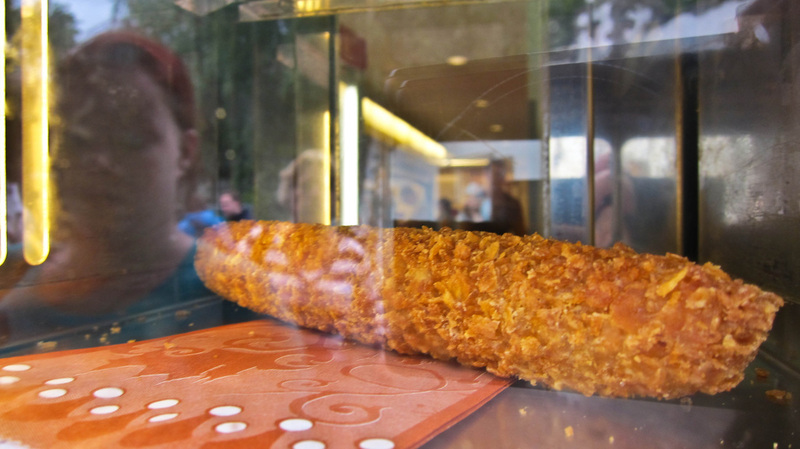 The bread-crumb crust is of a finer texture than most. 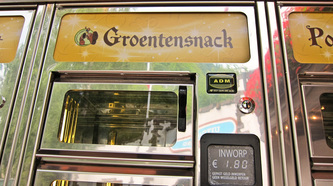 Currywurst is a fast-food dish of German origin consisting of hot pork sausage cut into slices and seasoned with curry ketchup (regularly consisting of ketchup or tomato paste blended with curry) and generous amounts of curry powder, or a ready-made ketchup-based sauce seasoned with curry and other spices.